Conflicts between shifters and wereanimals—beluae—are common; petty squabbling over territory and resources necessitates endless mediation, and no small amount of eye-rolling. As the sheriff and chief magistrate of the Eximium’s special criminal court, Duoviri Lexa O’Clare has been the judge, jury, and executioner for two millennia. 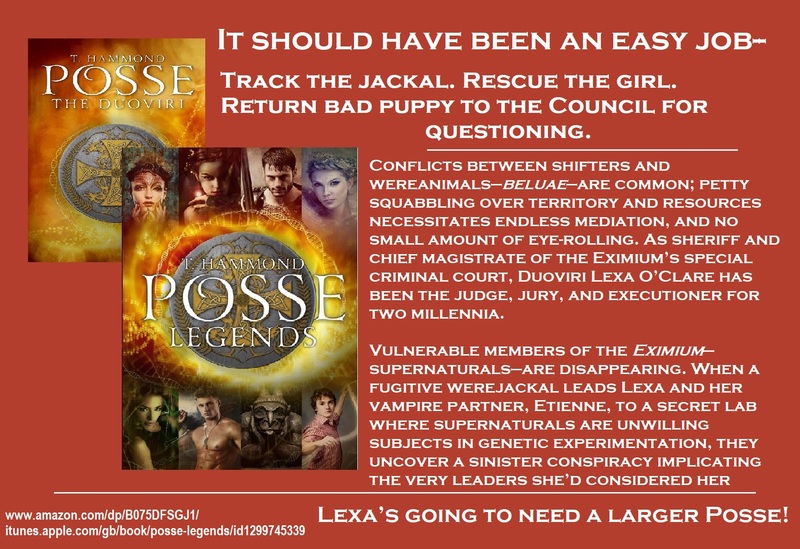 Lexa’s going to need a larger Posse! Okay, “herd” may be a slight exaggeration. 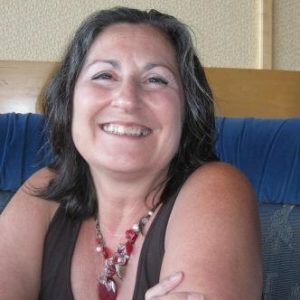 Writer, T. Hammond, lives on a beautifully wooded hillside in western Washington State, with her sassy German shepherd, Molly (who’d rather be lounging on the couch than outside enjoying nature). 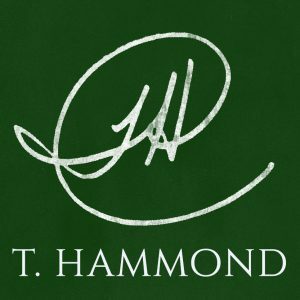 Blind Seduction (Book 1) — First, let me start off by saying that I applaud author T. Hammond for creating a blind character that has to be the main reason I continued reading. I don’t like paranormal or romance. Glad I did continue reading it was worth it… The author did a wonderful job of creating a heroine that we as readers can relate to, connect with, and cheer for! 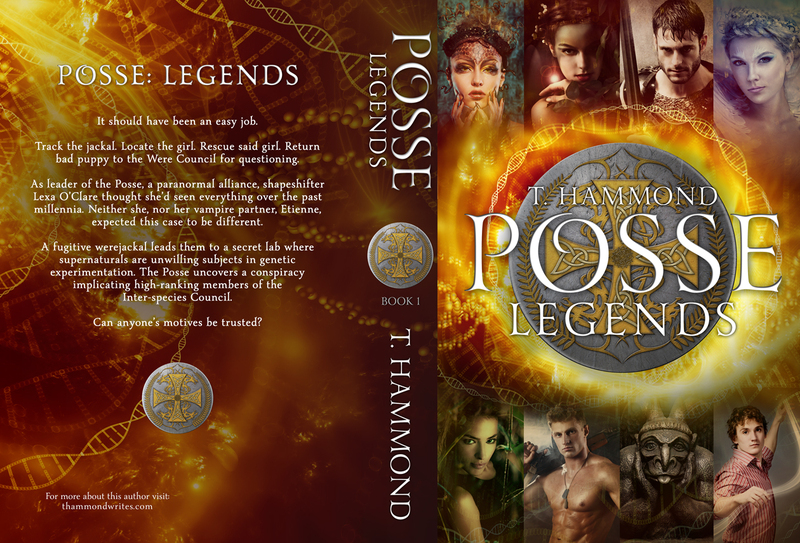 Posse: The Duoviri — This is a set up to a new series by Ms. Hammond and I love that she gives up this novella so we go into the first book knowing the background. The Legends sound amazing and I can’t wait to begin!